Above: Georg Giese, OG Steelyard Merchant...“Oh, Hello! You caught me on a completely normal business day just opening a letter from my super-rich fiancée. BTW my sleeves cost more than you make in a year, also please cast your gaze upon all of my high-tech instruments casually scattered aboudst my richly-appointed tabletop..." A Holbein portrait comprised the ultimate 16th Century (not-so)-humble-brag. 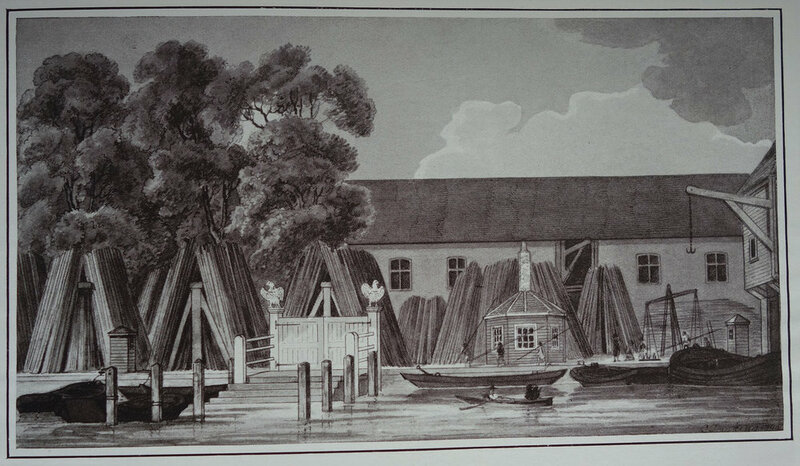 Even as trade laws changed and the influence of the Hansa merchants waned, the Steelyard remained a significant wholesale hub in London up until the mid 19th century, when it was finally subsumed by a transportation technology even more revolutionary than the Hanseatic shipping network that first roamed the medieval seas. In 1866, The Southeastern Railway company built the Cannon Street Railway station on the Steelyard site.